Vintage French Art Deco Courtyard Wall Plaque. Photographed Hanging on a Holly Tree but will hang on a courtyard Wall or Fence or hang on tree as We did. Weathered but in lovely condition. 19cms Width x 13cms Deep x 25cms Height. 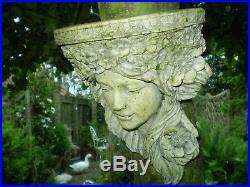 The item "Architectural salvage Garden, Vintage French Art Deco Lady Wall Plaque" is in sale since Friday, June 8, 2018. 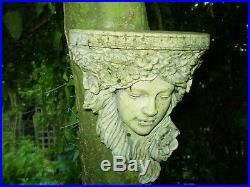 This item is in the category "Antiques\Architectural Antiques\Garden". 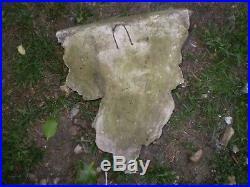 The seller is "barryf1000" and is located in NEEDHAM MARKET, Suffolk. This item can be shipped worldwide.